Funeral Horses sometimes have a day out doing something different. 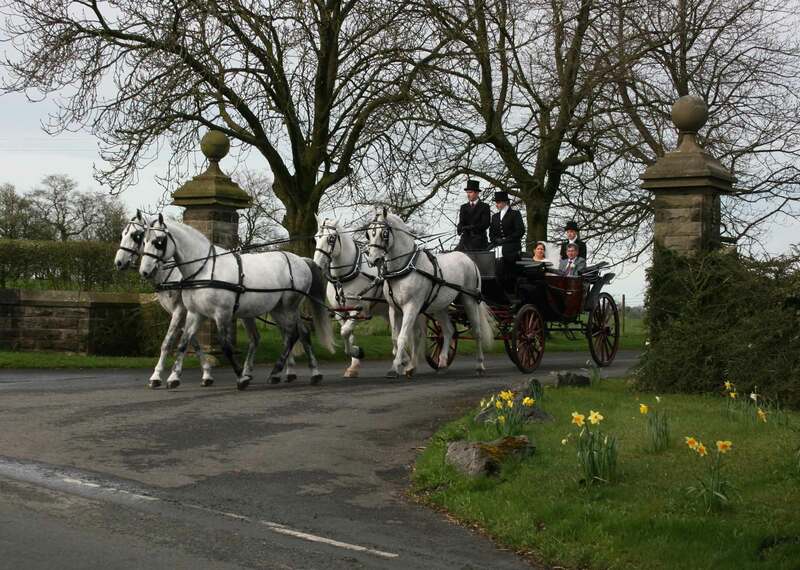 The funeral horses for our horse drawn hearse, Warwick and Windsor, had a fun day out in Lancashire yesterday. They were helping out at a wedding acting as team leaders with a wedding carriage. See gallery for photo.